A prototype of the ISU-122 heavy self-propelled gun was built at the Chelyabinsk Kirov Plant, in December 1943. 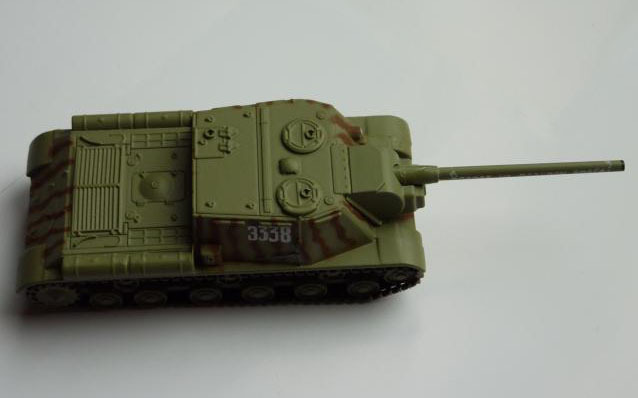 The design shared the chassis of the ISU-152 self-propelled gun and differed only in armament, having an A-19S 121.92-mm gun as its main weapon instead of the ISU-152's ML-20S gun-howitzer. At that time all ISU hulls were being equipped with the ML-20S gun-howitzer, but the production of hulls increased quickly and there was a lack of ML-20S tubes in the beginning of 1944. State authorities ordered these uncompleted hulls armed with an A-19 gun (specifically with the A-19S variant, slightly modified for the self-propelled gun mount). A further advantage of rearming the ISU was increased direct fire range against heavy German tanks. 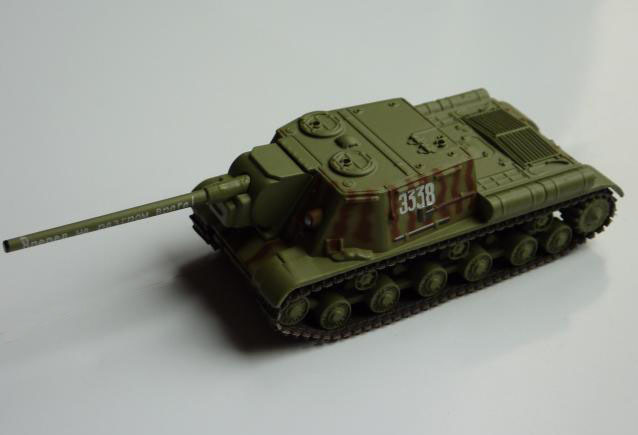 For these reasons the State Defense Committee adopted Object 242 for Red Army service as the ISU-122 on 12 March 1944. 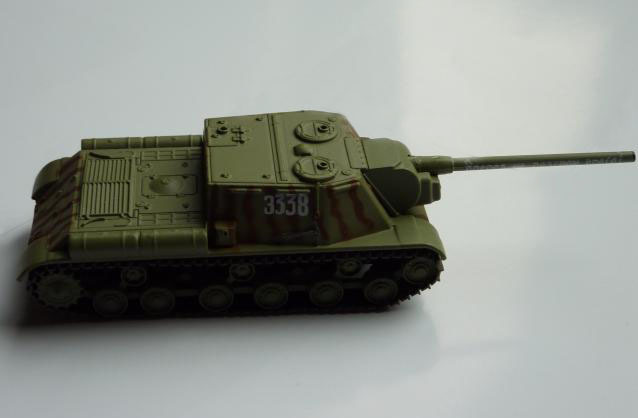 In April 1944 the first series ISU-122 left the ChKZ production lines. Mass production of the ISU-122 ceased at the end of 1945. 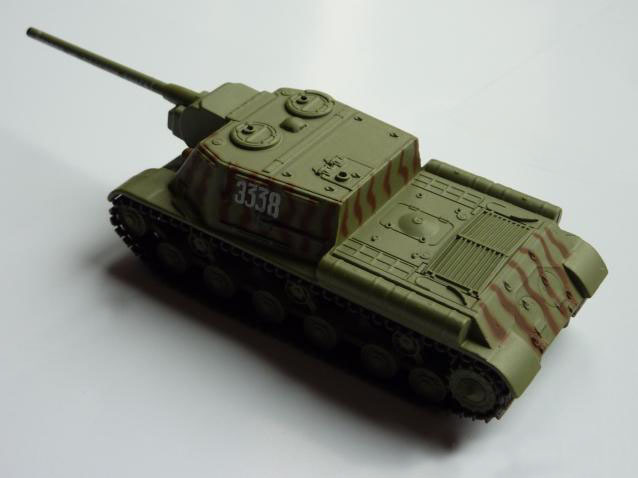 ChKZ produced 1,735 ISU-122 in total. The ISU-122 was used as a powerful assault gun, a self-propelled howitzer, and a long-range tank destroyer, the same as with the SU-152 and ISU-152 heavy self-propelled guns in general. However these vehicles differed in their combat use. The primary application of the ISU-122 was as a tank destroyer, while the SU/ISU-152 tended more towards the assault gun role. With the same hull as the IS-2 the ISU-122 had good armour performance but more importantly very good performance with high-explosive rounds. The 121.92-mm gun had great potential, although the gun's abilities were somewhat reduced by the available projectiles and its lack of accuracy. In 1944 the BR-471 was the sole armour-piercing round available (the Germans had armour piercing rounds also, including ballistic nose and sub-caliber variants). An improved version, the BR-471B (БР-471Б) was developed in early 1945, but was available in quantity only after World War II ended. In extremis the ISU-122 engaged enemy heavy armour with OF-471 (ОФ-471) high explosive projectiles. These shells had a mass of 25 kg, a muzzle velocity of 800 m/s, and were equipped with a 3 kg TNT charge. Mechanical shock and explosion was often enough to knock out enemy AFVs without any armour penetration. For urban combat ISU-122's were utilized as assault guns, but with a lower efficiency in comparison to the SU/ISU-152. In general Red Army commanders viewed the ISU-122 as a good assault gun. The OF-471 projectile was powerful enough against unprotected and entrenched infantry, pillboxes, and fortified buildings. In urban combat the long barrel of the 121.92-mm cannon sometimes made maneuvering difficult. Use of the ISU-122 as a self-propelled howitzer was rare, although its maximum range of fire exceeded 14 km. Usually the ISU-122 delivered indirect fire to the enemy during rapid advances when support from towed artillery was not available.